Popularised in 1980s so much so that in some cases, children were queuing up until 10 o’clock at night waiting upon deliveries, and when the delivery did arrive the stock would be gone in a flash. Many children also collected the flower shape tag and did not believe the shoes were real Kickers unless this tag was included. Whether you are a fan or not we all remember our first pair of KicKers and we also remember how tough they where. 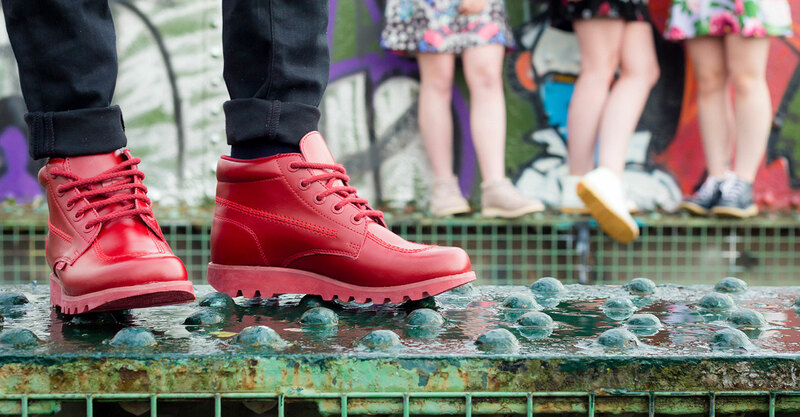 Rain or shine, sleet or snow you knew your pair of KicKers would get you through the seasons. Needless to say we at TNC are big fans so we thought we would pop on our new kick hi’s and go for a little walk in the drizzle.